Originally published by the Wirksworth Civic Society in conjunction with Derbyshire County Planning Department 1979. Revised 1989. Designed and illustrated by Janet Mellor. 420mm x 300mm. 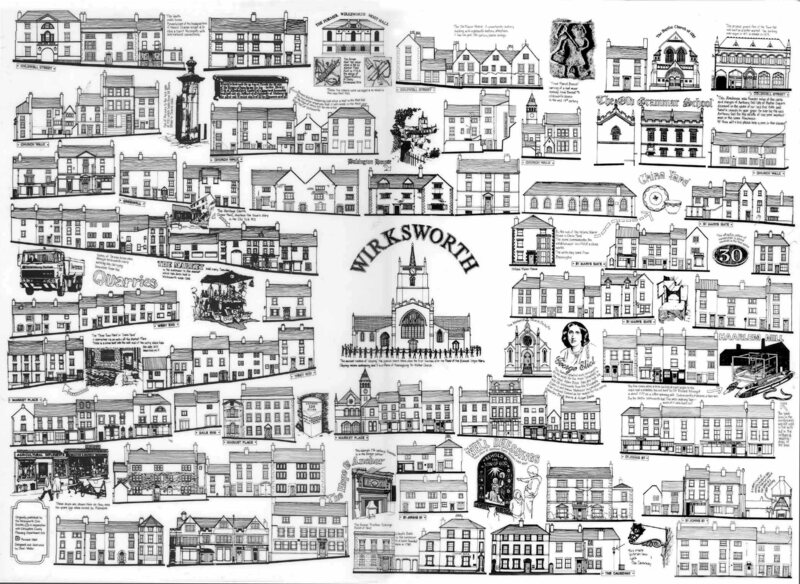 Copyright of © Wirksworth Civic Society. Coldwell Street, Church walk, Greenhill, St Mary's Gate, West End, Market Place, Dale End, St Johns St and The Causeway. Compiled, formatted, hyperlinked, encoded, and copyright © 2004, John Palmer . All Rights Reserved.